We are a family owned gastropub, brewery, and cider house located in the heart of Eugene campus culture. We serve a wide range of Southern dishes with Northwest and local influences. Our extensive tap list features 24 of our own beers, ciders, and sodas, crafted using fresh, local ingredients. We have plenty of seating inside or outside on our patio and invite you to join us for some delicious food and southern hospitality. Went there on Oct 2 to celebrate a birthday lunch! Wow we had a wonderful experience. Lovely decor and accommodating waiter. Excellent food and a very reasonable lunch. Loved the patio area and inside seating. Couldn't have a beer because we had to go back to work. Will definitely go here one night to experience their dinners with a beer! Excellent experience. Worth the wait! I highly recommend the cider flight and try some of their delicious varieties of cider. Their signature fried catfish dish was fresh, crispy and not greasy. The Shrimp Po-boy also did not disappoint. Rosemary sea salt fries were also great and fried perfect. Service was very friendly. Can't wait to return and try more of their menu. No disappointments here! Great server who knew how to pair a beer recommendation with the daily special. Patio is street-side but you can sit with back to the street and the plants are a nice touch. Food done by previous Delacata food cart chef- menu is eclectic and southern influenced...with the right touch of Oregon down-to-earth. 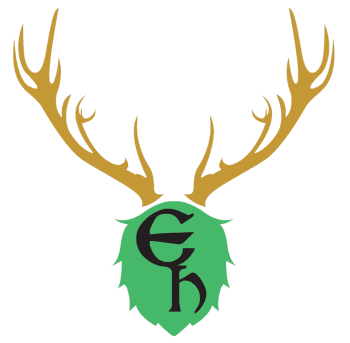 The Elkhorn is hands down the best brewpub in the Eugene Springfield area, and has become our de-facto team lunch destination. We’ve had vendors visit from Portland, Seattle and the Bay Area, and once they’ve been to The Elkhorn, they never want to go anywhere else. The Elkhorn’s beer and cider selection is deep, and offers unique, adventurous options for every palate, with seasonal updates aplenty. There’s also a huge whiskey selection that’s never disappointed. The food menu is equally diverse, and offers food far superior to the competition; the Chicken and Waffles is famous, as is the Homemade Mac N’ Cheese, and any of the other dishes featuring their homemade beer-cheese sauce (Pretzel, Nachos). They’ve also got a smoker out back and produce some of the finest smoked sausage and meats around, and even offer smoked steelhead seasonally. There’s probably excellent desserts, but we’d never know cause we’re usually stuffed with appetizers, beer and to-go boxes in hand when we leave. If all this isn’t enough, The Elkhorn is family owned, and offers excellent, friendly service that will keep you coming back time and again! Been here for brunch, lunch & dinner. My husband always gets the Elk burger, and loves it every time!! I've had a few things on their menu. Scotch eggs at brunch with a side of gravy, AMAZING. Shrimp and grits for dinner my fave. Taught my friend how to pronounce charcuterie thanks to EH. And my friends often get their BBQ, which is always good. Oh, and the beer. YAY! Love their huge beer selections. There's a beer for everyone 21 and over and craft sodas for those that aren't. This review is another testimonial on the fantastic service, food, and brew that I continue to experience over and over!!! From the simplicity of the delicious dirty fires to the must have chicken and waffles, Elk Horn never lets me down with the consistency of my choices being prepared to perfection! I have several favorites of brew, from the Wapiti Pilsner to the Sasquatch's Shadow and love that Sam has come back to lead the way for brewing. I have been going there since they have opened and take all my clients with the confidence that they will not disappoint!! Oh, by the way, if you're a rib fan...ya gotta try their ribs, truly the best I have had in Oregon! Lastly, make sure you have their huge pretzel....never ever a bad choice!!! The Elk Horn Brewery never disappoints! The staff is enthusiastic and very friendly, and the food is some of the best Southern cooking I've ever had. I appreciate their family friendly environment and the unique decor! Five stars!